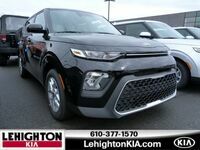 As two of the most unique compact crossovers on the road, the Kia Soul and Nissan Juke clearly stand out from the crowd. Each one has its own distinct set of features and capabilities while also sharing multiple similarities with other vehicles in the same class. If you are interested in learning how the 2017 Kia Soul and 2017 Nissan Juke stack up against one another, you can view key differences and similarities below. Then, you will be able to make a well-informed decision and schedule a test drive before determining which one is best suited for you and your lifestyle. Both the Kia Soul and Nissan Juke come standard with 1.6-liter I-4 engines that offer an ideal blend of power and efficiency. The Soul’s engine is paired with a manual transmission, while the Juke comes standard with an automatic transmission. Shoppers can choose to upgrade to an automatic transmission on the Soul base trim. Since the two vehicles each offer a very distinct exterior look, some drivers may prefer one design over the other. The Soul has a boxy shape, while the Juke features a curvy, bug-like style. 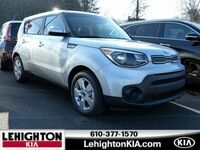 The difference in vehicle shaping translates to different amounts of interior space, meaning the Soul offers more passenger and cargo room than the Juke. 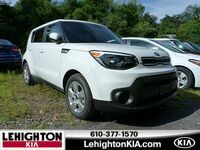 Additionally, the Soul comes standard with satellite radio, a feature that is only available on higher trims of the Juke. 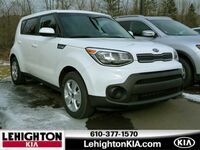 In the end, the 2017 Kia Soul has a more affordable starting price than the 2017 Nissan Juke, Which model is right for you? 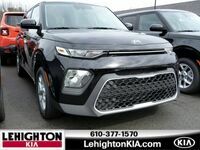 The 2017 Kia Soul comes in three different trim levels. After reviewing the different features available with each Soul model, drivers can decide which one is best for them. Standard features include 16-inch alloy wheels, 6-speaker audio system, steering-wheel-mounted audio controls, power windows and door locks, 60/40-split-folding rear seat, and much more. With higher Soul trims, drivers can take advantage of a number of advanced elements, such as heated outside mirrors, panoramic sunroof, LED fog lights, Forward Collision Warning System, Rear Cross-Traffic Alert, leather seat trim, heated and ventilated front seats, and a heated steering wheel, among others. 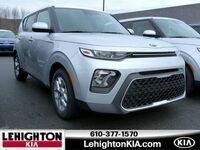 When you are ready to get behind the wheel of the 2017 Kia Soul in Lehighton, PA, you can schedule a test drive with our team at Lehighton Kia.